When you’re first looking to buy a 3D printer, or looking for models to try printing, you might quickly find yourself lost in all the online printing resources. To help you out, we’ve put together a list of some good websites to check out. It is also worthwhile checking out the website after purchasing your printer. The online support documentation is very effective at helping you troubleshoot issues you may be having. While Shapeways primarily deals in selling printed models, they have some good resources for learning about 3D modelling. 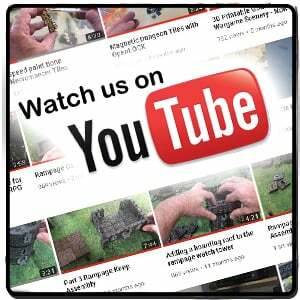 In their tutorials section you can find many tutorials primarily focusing on usage tips for the different 3D modelling software on the market. This will be particularly helpful for Printable Scenery products, as it will help you acquire skills to alter our models if you have any ideas that are not included in the original. Thingiverse is another great website. Brought to you by MakerBot, Thingiverse is similar to Shapeways in that it allows designers to upload their 3D models for others to download. However, on Thingiverse you just download a digital file (though the option for them to print for you is available). This website is a crucial resource for someone new to 3D printing, as there are tutorials available under their ‘jumpstart’ section to help you learn more about some of the most popular 3D modelling software. What’s more is that with the number of freely available models on the site, Thingiverse will enable you to try out some simple prints without having to drop money first. 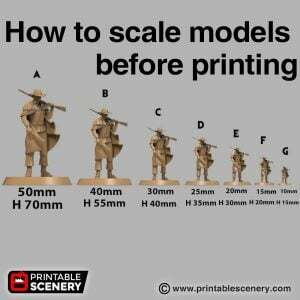 This will help familiarise you with the process of printing. Thingiverse is chock-full of designs and models which could be useful in fleshing out some of your sets. 3Dprint.com have great articles on just about every element of 3D printing. Perhaps most importantly, they have a forum which could prove helpful if you’re looking for solutions to particular problems you may be having with printing.